Migration: what did the Migration Advisory Committee's report say? On Tuesday, the Migration Advisory Committee (MAC) released a report on the impact of EEA migration to the UK, along with their recommendations for a post-Brexit immigration policy. The report has garnered varied responses. The acting general secretary of the Royal College of Nursing said its recommendation that EEA citizens do not receive preferential treatment after Brexit is a “missed opportunity”, but also said the report “ puts paid to the damaging misbelief that migrant workers are a drain on health and care services”. The chief executive of the Royal College of Architects said the recommended policies would have “profound implications” for the sector, and added: “It is disappointing that the committee has recommended introducing a £1,000 immigration skills charge to employ EU nationals and that it has not moved on the onerous salary threshold. Both of these measures will hit smaller practices the hardest”. The report also dismissed the idea of a scheme for lower-skilled workers, with the exception of agricultural workers. 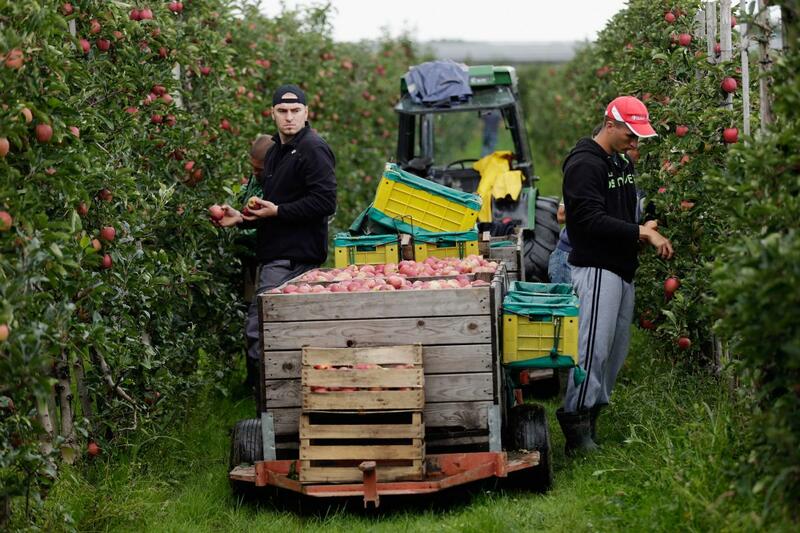 The director of Focus on Labour Exploitation warned: “Workers with visas tied to a single employer are unable to defend themselves if they are paid less than promised or if they are expected to work longer hours and in worse conditions than initially agreed… There is a real danger that we could see a sharp rise in exploitation on British farms next year”. The Federation of Small Business called it “deeply concerning”, saying small businesses would be hit hardest by administrative costs. But what did the report actually say, and what recommendations did it make? We pick out some of the most important points below. ONS data shows that 226,000 EU citizens came to the UK in the year ending March 2018. This was lower than levels of immigration to the UK in 2015 and 2016, but similar to 2014 and 2017. “While we do think that EEA migration has had impacts, many of them seem to be small in magnitude when set against other changes,” says the report. It adds that the fall in value of the pound after the Brexit referendum “probably” raised prices by 1.7%, having a “larger impact than the effect on wages and employment opportunities of residents from all the EEA migration since 2004”. “The small overall impacts mean that EEA migration as a whole has had neither the large negative effects claimed by some nor the clear benefits claimed by others,” it says. “Our recommendation is that there should be a less restrictive regime for higher-skilled workers than for lower-skilled workers in a system where there is no preference for EEA over non-EEA workers,” says the report. The Tier 2 scheme for highly-skilled workers has an annual cap of 20,700. Doctors and nurses were removed from the cap in June, but the MAC recommends abolishing it completely. “It creates uncertainty among employers and it makes little sense for a migrant to be perceived as of value one day and not the next which is what inevitably happens when the cap binds,” the report says. The report also recommends making it easier for Tier 2 workers to be able to change jobs. Lower-skilled workers would still be able to access the UK through family migration or the “existing youth mobility scheme”. “Migration from Eastern Europe to the UK is primarily driven by differences in per capita income but these differences are narrowing,” says the report. Data shows wages in new member states like Poland, Romania and Bulgaria are catching up with the UK, which “is likely to continue reducing the attraction of working in the UK”, says the MAC. “Following the Brexit referendum in June 2016, UK growth has fallen from being one of the fastest in the Group of 7 (G7) nations to one of the slowest, suggesting there may be greater economic opportunities for New Member State migrants in other parts of the EU,” says the report. In 2017, the UK’s economy fell to its lowest growth rate since 2012, as quarterly growth fell to 0.4%. “The main effect of EEA migration has been an increase in population. Net migration, both EEA and non-EEA, of 250,000 a year means adding a city of the size of Birmingham to the UK population every four years,” says the report.